Round bottom roast and rump roast originate from the beef round sub-primal cut located in the beef hindquarter. Distinct differences in the cuts include marbling, market forms, common preparations and cooking methods. Both cuts are relatively inexpensive, and have uses that extend beyond whole roasting. Beef’s marbling represents the amount of intramuscular fat it contains, and contributes to its feel, moistness and tenderness. Highly-exercised muscles, such as the round sub-primal cut, tend to produce moderately tough to tough cuts of meat with little fat; however, the rump roast has more marbling than the round roast. The bottom round is relatively lean, and has five grams of fat per serving. The rump roast, although from the same primal cut, experiences slightly less use than the round, and as a result has more intramuscular fat. 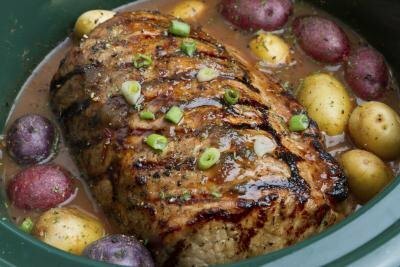 It produces a more tender cut, and has 10 grams of fat per serving. Cuts from highly-exercised beef portions, such as bottom round and rump roast, respond well to moist heat cooking methods, such as braising. Braising assists in breaking down the connective tissue that contributes to meat’s toughness. However, high-quality round roast designated USDA prime or USDA choice facilitates successful dry roasting, whereas all grades of rump roasts require braising for ideal results. 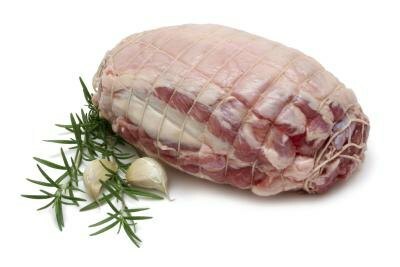 Markets and butcher shops usually sell rump roasts rolled and tied with kitchen twine. Rolling and tying the roast facilitates even and uniform cooking throughout the cut, and adds to its aesthetic appeal. Bottom round roasts often come in 2 to 3-lb. sizes, but many butchers cut them into steaks upon request. Common preparations for bottom round include accordion-cut, butterflied and cubed. Accordion-cut entails making alternating slices on opposite sides of the meat so it resembles an accordion when spread out. Butterflied bottom round has a horizontal slice running through the middle of the meat which, when opened up, resembles butterfly wings. Cubed bottom round indicates the meat has been mechanically tenderized through a series of strikes from a kitchen mallet. All three preparations shorten cooking times, but cubing increases the cut’s tenderness. 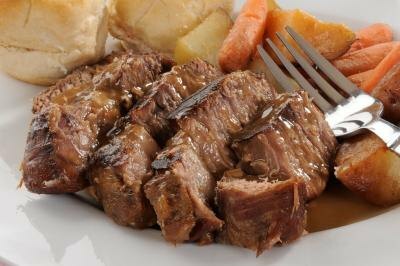 Common preparations for rump roast include stew meat, ground beef and beef tips, if not in tied and rolled form. Beef roast served with gravy, vegetables, and rolls.